Looking for a vehicle to replace my 2012 Suzuki Kizashi SLS. 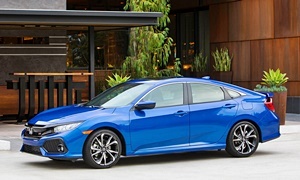 I am looking for a compact or midsize sedan with most of the bells and whistles. I am a GM fan, but just can't bring myself to buy a Cruze or Malibu (too boring). If the Buick Verano were still on sale in the US, that would be my new ride. I would like the car to have leather seats (or leatherette), a sunroof, big touchscreen, push button start, etc. This will just be my second car to get around town, so space is not really a concern. I am strongly considering a 2019 VW Jetta SEL. I really like the Jetta's sleek, modern style and Digital Cockpit. I would like the price to be around $25k, but that is flexible. I will only consider new vehicles. What do you guys think of the all new Jetta, and are there any other options that I should consider? Thanks! The Jetta and the Civic are the class of their class, IMO. 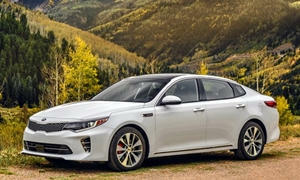 Another sedan worth considering is the Kia Optima - very solid all around. 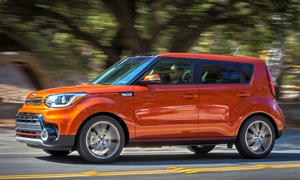 If it's really for around-town use, another (possibly from left-field) suggestion would be the Kia Soul. Does everything well, suprisingly fun to drive and super easy to maneuver. Hyundai and Kia offer about the most bells and whistles for the buck, and are just plain good cars to boot. We enjoyed our Verano Premium 2.0T and would routinely see almost 40 mpg on long drives at 65 mph, no need for an economy car and it's loud, uninsulated interior and you'll save hearing with it's quietness. It was actually the quietest vehicle I have ever been in and proved a smooth, quiet ride as our dog would lay down in the back seat and be out to sleep. This new one is 1/3rd MSRP or $25,000. But they may be willing to negotiate some with the hot cuv market taking over. New 2016 Buick Verano Premium Turbo Group for sale at Bill Estes Chevrolet Buick GMC in Lebanon, IN for $24,925. View now on Cars.com. I don't know if the new Jetta will be a good choice because it is in its first model year and that means the automaker has not sorted out the problems yet. You are likely to have many more problems with this than the Civic, Soul, etc. 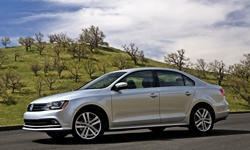 The new Jetta is more tuned for comfort instead of fun handling. The Jetta does fill your priorities perfectly though. I think the Civic would be the best choice. It has a digital instument cluster and the touchscreen. The Digital Cockpit on the Jetta is more impressive than the Civic's, but the Civic is a more well-rounded choice. It is relatively smooth, quiet, and handles well. I'd get a Touring or EX-L. I am guessing the Civic will beat the Jetta in reliability once we know how reliable the new Jetta is. I concure with zcd1' s excellent suggestions. Since you are already considering a VW I would add the Golf to your list. The Mark 7 chassis has been 3 years under its belt and has gotten rave reviews from vitually everyone. It is practical with lots of space if you occasionaly have to lug stuff around, fun to drive, and pretty easy on gas (I get 24-28 around town and 36-38 on the highway). We would love to hear your decision process and end result! If you are stuck on the sedan body type, you might consider the Buick Regal Sportback. Starts at your price limit, but being a GM car you can probably get a big discount. It is shaped like a sedan, but has a hatchback with huge space. Base models should come nicely equiped. I am a VW fan and won't try to talk you out of the Jetta. New Jetta now shares the excellent MQB platform. Styling is a bit austere, but I like it. It will have a very different (more direct) road feel than the GM cars such as the Malibu or Regal which have a softer ride. New VW's have great warranties. 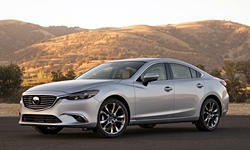 I would consider the Mazda 6 as well and the Kia mentioned above. In general, have fun test driving lots of options. Generally people are flocking away from Sedans and into SUV's, so many companies are offering huge discounts to move their sedans, so good time to be a buyer, although sedan options are going to begin drying up over the next few years. The Regal Sportback would definitely be my first pick from the list, but I just can't justify paying $30k+ for my "getting around town" car. Thank you for all your suggestions! You all have defineily given me something to think about..
Kia Soul thoughts: We have rented Souls several times for extended trips. Very easy going car with lots of room and great features, A bit of jolt on sharp bumps but that is my only complaint. I would have gotten the Soul rather than the VW Golf TSI Wolfsburg if the Soul Turbo had been available back when I bought my Golf. Since this is an around town ride and you are planning to lease consider the Soul EV if available in your area. There currently are some screaming good lease deals for 2018 Souls, including the EV. Not as much ranges as some of the other current EVs, but not bad if it is your second car. The first of the 2019s are trickling in: The Kia Soul is a popular youth-oriented model with room for five. It has a loyal following and includes an EV variant . The Soul is a cutting-edge alternative to other smalldels, including compact crossovers and hatchbacks. You'll find a generous supply of 2018s on dealer lots; the first of the 2019s are trickling in. For 2018, Kia brought Apple CarPlay and Android Auto smartphone compatibility and automatic climate control to the base model. For 2019, a rearview camera and automatic headlights are now standard. The current offers are in place throughJuly 31, 2018, and we aren't expecting changes before August. Kia's offers vary by region. The examples we're using are for California. This month's cash incentive:Kia provides a $2,000 cash back offer on the 2018 Soul and that's four times the rate Kia offered as they closed out last year. Choose a 2019 Soul and the cash offer is $1,000. If you take either offer, keep in mind that you may not combine it with promotional financing. Your choice of financing offers:Purchase a 2018 Kia Soul and you can finance one for 0.0-percent APR for up to 66 months. Choose a 72-month term and 0.9-percent APR financing is available. If you're buying a 2019 Soul, the interest rates are as follows: 0-percent APR for 60 months, 0.9-percent APR for 66 months, and 1.9-percent APR for 72 months. 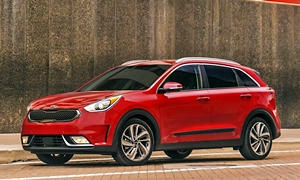 Kia's financing offers are terrific and superior to what most competitors offer. A competitive lease:The 2018 Soul Base is listed at $199 per month per month for 36 months, with $1,999 due at signing. Here, your effective monthly cost of ownership comes in at just $255 and equates to a poor value given the vehicle's MSRP. Interestingly, the 2019 Soul starts just $10/month higher with everything else equal. As a result, it may make more sense to upgrade to the latest version. Kia provides a mileage allowance of 12,000 miles per year. At the end of the lease term, you'll pay a $400 termination fee. Incentive available to most customers and purchasing situations. Lease Bonus Cash:KMF Lease Cash(Expires 7/31/18) $1,300 Best Kia Deals & Lease Offers: July 2018 TheKia Soulwill see only minor changes for the 2019 model year. Although a redesign is likely to follow not long after, buyers may need to wait until 2020 for that to go on sale. danlisahall, I am considering going the EV route... The Tesla Model 3 definitely has my eye. I'm just not sure when (or if) the "$35,000 Tesla" will truely be coming out. I built a Model 3 on Tesla's website, and without adding any options, my monthly payment would be almost $800on a lease! Sure, the "Tesla Fanboys" wouldn't mind paying that for an early taste of the future, but for my "around town" car it just doens't make financial since. If the $35,000 Tesla is coming out within the near future, I will surely consider it as I almost spend $200 per month on gas with my Kizashi. I did look at the Soul EV you recommended, but that just isn't my style. I would prefer to stick with a sedan. As of now, I am still leaning towards the Jetta (but would really like to make the Regal Sportback happen!) 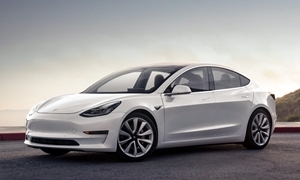 What are your thoughts on the Model3 (build quality issues? reliability? battery life? if there will ever be a $35k model?) Thanks everyone for your respones! MLS-models: I have never driven a Tesala but love their looks. Honestly, they are too much tech & dollars for me so I haven't paid much attention to them. However, by all accounts Tesala produces fabulous performance vehicle. Also by many accounts their products so far are very complicated and somewhat flawed with lots of bugs. CR and other sources indicat that reliablity is is poor to dismal. Since seem to have some affinity for VWs and would rather not spend $200/mo on gas (how far do you typically drive daily?) perhaps you would like to take a look at their Golf E version which has gotten excellent reviews other than having less range than some of the other current EVs. The Mark 7 Golf is built on the same outstanding MQB platform as the 2019 Jetta so driving dynamics will be similar with the Golf leaning more toward agility and sporty handling with Jetta a bit plusher. 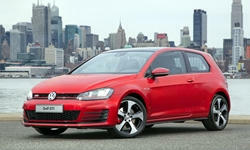 As far as content between the two VWs, the Golf may offer more bang / buck and is far from uncomfortable or a stripper. My wife just got a Model 3 a month ago and it is the best car I have ever driven. Beats all the Porsches I've driven by far. I think it is the start of the future of cars. Read what I think about it on my TrueDelta review: Click Here. We got the Long Range RWD model (the only one at the time). Out the door price was $61,000, $51k after tax credits. We got all the upgrades except the Full Self Driving software (separate from the $5k Autopilot package) for $3,000. The $35,000 one will be available early next year Tesla says. It WILL be coming out, but it won't be until then. They are really ramping up production and are at full speed. They are selling the most expensive models first to get profitable. One option I think everyone should get is the Premium Package for $5k. Brings an all-glass roof, rear USB ports, 12 way power front seats, auto-dimming power-folding heated side mirrors, and more. 0-60 in 5.1 seconds with the Long Range, 5.6 seconds with the Standard battery. What is most impressive is the full-throttle acceleration from 20-70 mph. Almost neck-snapping and scares your passengers. It feels much faster than a gas powered car that has a similar 0-60 time and it is all linear, not a CVT. Maybe the best part about the car is the OTA updates. OTA updates can fix a wide variety of problems with the software and will add upcoming features. A recent one is Summon, which backs the car into or out of a parking space or garage without anyone in the car. Be sure to get your car soon. Tesla has sold the most EVs of any automaker and has surpassed 200k cars sold. This means that on January 1, 2019, the tax credits will be cut in half. At the start of Q3 2019, it will be only $1,750. Ride is a little stiff for a luxury car. I agree, but it isn't that bad and I have the bigger wheels. If you are not used to driving a hybrid or EV, you might miss the sound of an engine. Relibility will probably below average or middle of the pack. My wife has already had the "service needed" light appear for a few minutes and went away. A beauty of Tesla is that over the phone, a technician can fix the bugs on your car over the air without having to go to a service center. That is what happened to several people on Reddit and it worked successfully. Insurance is $1280 per year for us with AAA (0 accidents under policy). Liberty Mutual has an InsureMyTesla program that is supposedly cheaper. Even if you don't go with a Tesla, I think an EV is the best choice if you just want a car to drive around town. The Golf EV, Nissan Leaf, and Chevy Bolt are good choices. Usually there are aggressive lease deals on EVs. If I do decide to go with an EV, the only one I would consider would be the Model3. The other ones just look too "different" if you know what I mean. The Model3 just looks like a sleek, ordinary sedan while the Leaf looks like a bug in my opinion haha. I would say that an EV most likely will not happen at this point... Would really like to keep the car around $25k for my second vehicle... Still leaning towards Jetta but would really like to get the Regal Sportback if money weren't a factor. I'm also considering the Hyundai Sonata now... The Limited version has my attention as it has leather seats, moonroof, air conditioned seats and is right around $25k with discounts... The Sonata also has a traditional auto transmission and thankfully not a CVT. If it were between the Jetta SEL and the Sonata Limited, which would you choose? Thanks! The Hyundai Sonata being a South Korean designed car means you get more for the money usually. It is not a bad car but it won't drive as well as the Jetta you are talking about, although it is more reliable. You mentioned you plan to lease so you don't care about reliabilty as much, and in three years, the Jetta should be fine in any case as it is still pretty new during that first 36 months despite the fact it is brand new (although you may suffer through more recalls than usual). If it were me leasing (which I don't do as I drive my cars into the ground and are high mileage) I would get the Jetta as I would definately enjoy driving it more if I could get the equipment I wanted at the price point you said. Regarding EVs not sure you can lease a Model 3 right now. 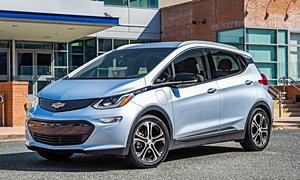 Another EV I like besides the Model 3 is the Chevy Bolt. It was too small for my family but I test drove one recently and I liked it a lot (plus it would have a very difficult time getting up my mountain in the winter even with snow tires as plenty of FWD cars cannot do it). One last thing, the $35,000 Tesla Model 3 is a pipe dream for now. While possible to build, even Musk says building it would lose them too much money. He claims they will build a few 6 months after they can consistantly make 5000 cars a week which is still some time off. So unless you want to spend north of $50,000 a Tesla is not in your future this year as the waiting list for that cheap Tesla is not going to be filled for a long time. I don't think you'll be able to lease a Model 3 for a loooong time. I would take the new Jetta over the Sonata if I were leasing. Buying, I'd get a 2018 Civic, Accord, Prius, or Camry and drive it to the ground. You might be mistaken for looking at the old Leaf. The redesigned one looks a lot better IMO, like a normal practical hatchback. The Bolt is one of the few cars I think is ugly on the outside. The Golf EV looks like a normal Golf with a few different details. We're now previewing the August 2018 reliability stats, and these include the Model 3. The preview is only for members, so I'll let people click over to check it out. Here I'll just say it's definitely worse than average, but not as bad as the Model X was early on. If you are leasing, be sure to consider the BMW i3. 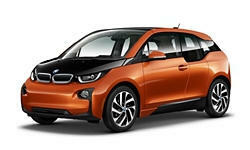 BMW thrives on attractive lease deals ad the i3 is a clever, unique design that feels like the future. The Bolt is probably a better car in most ways, but the i3's interior is very nice. "Choices; the problem is choices." 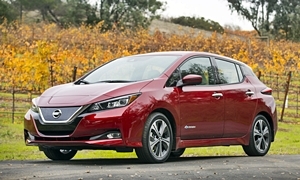 The EV choices are rapidly increasing with some intriging options. I agree with what AcuraT said about Jetta vs Sonata. My son-in-law got a used 2015 i3 REX about 4 months ago; nice car indeed. His primary complaint (not his only) is somewhat squirelly handling traits at highway speeds. If it is your city car and you don't spend much time above 50 mph, you may not notice. It has a few other quirks beyond unusual appearance) which seems fairly typical of most EVs. The most ICE like EVs are the Golf E & Soul EV. 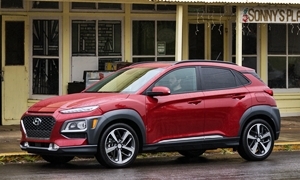 The Korean twin EVs -- Niro & Kona will be released in a couple of months & sound very modern, will have a range exceeding 250 miles, and are likely to give the Bolt and Tesala a real run for their money (er your money). But you would have to wait a few months for them. Sounds like you have a lot of test driving to do, that is more than half the fun. While choices is the problem, it can be an entertaining one! Went to my local VW dealer to look at the Jetta last night. They didn't have an SEL in stock, but they did have an SE and an R Line. After seeing the SE in person, I may end up going with the SE. It has the leatherette seats, heated seats, push button start, pano moonroof, dual climate control, and so many more features. The only major absences were the Digital Cockpit and 8" touchscreen. The 6.5" touchscreen seemed fine for me as it still had Apple Carplay and apps on it. The material quality of the 2019 Jetta really surprised me. The dashboard is soft to the touch and has stitching, and the upper door pannels are soft as well. The doors close with a solid "thud", unlike my Kizashi. Sure I would really like to get an SEL, but if I can save almost $3k with discounts than the Digital Cockpit doesn't seem worth it. I also stopped by my Buick dealer to check out the Regal Sportback. They had a Preferred (the base model I believe?) that stickered for $27k. Compared to the Jetta, it didn't have anything. Cloth (not heated) seats, ugly wheels, no LED headlights, no moonroof, and nothing that the Jetta didn't have...for almost $4k more. The Buick dealer did have my dream car, a Regal Sportback Essence with almost every option. Sticker was around $35k I believe, which unfortunately is just not doable. :( Even compared to the Jetta SE, the Regal Essence didn't really have any standout features... I didn't even notice a significant step up in materials quality IMO... For spending almost $11k more on a car compared to the Jetta SE that doesn't have any standout features (I'm sure the ride is quieter, didn't test drive the Regal), it seems like you are paying for the "Buick" name. After talking with the family, I think we have decided on a 2019 Jetta. I would be perfectly happy with an SE as the Digital Cockpit is not worth $3k IMO. The Redline is also interesting, but I'm afraid the sporty styling looks too much like a "midlife crisis" car lol. I am going to lease this vehicle as I don't drive the second car very much. I will probably get one within the next two or three months... I'll post here when I purchase it. Look for my review on the car, as well. Thank you all for your suggestions! You have no idea how much this helped me narrow down all my options! There is $6,000-8,000 off MSRP on a Regal Sportback. The trunk capacity doubles the Honda Accord trunk it is so big. Contact one of these and check prices shipped to your door as my area is too expensive and I usually ship the car to me also. New 2018 Buick Regal Sportback Preferred for sale at Laria Chevrolet Buick in Rittman, OH for $22,589. View now on Cars.com. 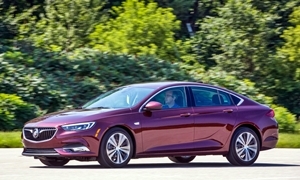 New 2018 Buick Regal Sportback Essence for sale at Beck & Masten North in Houston, TX for $28,006. View now on Cars.com. As you said you are leasing so you should go with the car you enjoy most. You like the VW, more power to you. It does drive nicely and the SE as you mentioned is pretty well equipped. I keep my cars for a decade or more so it rules out VW for me as they don't tend to last that long without a lot of repairs. NormT, could you ellabortate on the ship to your door thing you stated? I didn't realize dealers did this! Do most dealers do this, and what are typical shipping costs across the country, if you know? You said you have previously done this. What has your experience with this service been like? This is definitely interesting to me as dealers in my area never have discounts and I had to drive 4 hours to get my Enclave a few years ago. Thanks! I buy quite a few cars and usually buy outside my area as there is usually no deals when I'm looking. So when shopping online and find a used car and review the free carfax, I'll ask if it was smoked in, any repainting, and if they ship. Usually around $1,000 or so to ship to your door and I usually end up splitting the shipping cost with them. If they ship often they usually already have a preferred shipper and they call before a half day before they arrive. Usually the phone call for deposit and info exchange takes 30 minutes or less and I have a check sent from my bank and let them talk to each other so everyone is on the same page. They usually do not dicker much as the prices on the internet are usually very low and competitive. If your preferred car is not around you, consider shipping the car from a dealer far away to your closest dealer. That is what I did with my Prius and it was free. Still had to stay at the dealer for an hour, but it was the 2nd most painless new car buying experience I've had. I didn't ask them to ship to my door because that would have been more of a hassle. 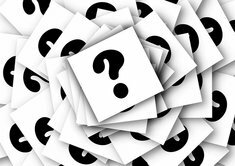 If it does cost $1000 to ship to your door, ask if shipping to the closest dealer would be less costly. For my first Prius, I had to take two trains and a bus over 300 miles. Took 9 hours. They wouldn't ship it because it was too far and they had other offers. It was the closest new Prius on sale in California so it was in demand. I didn't even get the trim or color I wanted. LectroFuel, did you buy your Prius from the dealer that shipped it, or the dealer where you picked it up? I've heard of dealers "trading vehicles". Is this what you are talking about? I bought the most recent Prius from the dealer where I picked it up, not where it was shipped from. I did the paperwork at the dealer where I picked up the car. The dealer I am closer to found a car in LA and drove it (or on a flatbed) 50 miles south to me. I don't know if the other dealer got something in return or if they split the cost. Here's a breakdown of what I did.I didn't negotiate because the car was in high demand at the time and they wouldn't budge on the price. If you do decide to trade between dealers, you don't have to spend time at the dealer for a salesperson to find a car online. I emailed my salesperson and it took a day to find a car 50 miles away, so emailing would be less of a hassle for you.